It's currently on display in the the lobby behind the information desk. We got a chance this week to stop in the State Museum and see an interesting artifact that's newly on display, Cornplanter's Pipe Tomahawk. 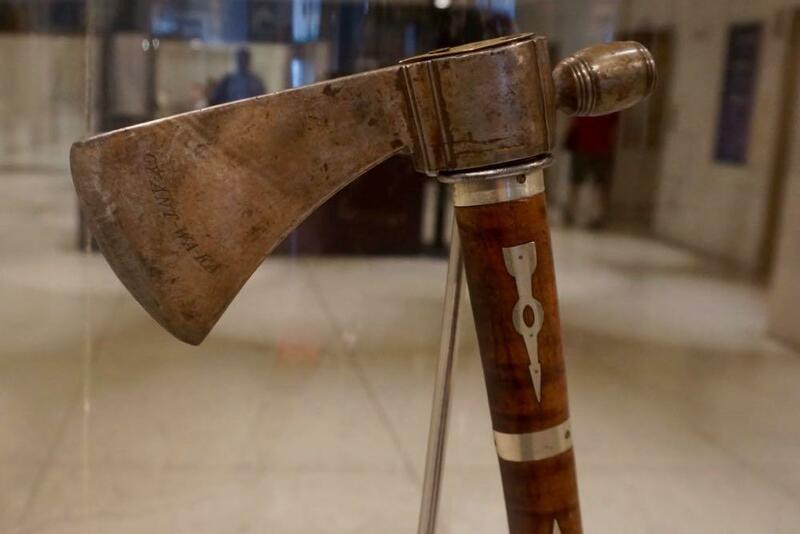 This tomahawk has particular significance--at one of several meetings between the U.S. and Haudenosaunee (Iroquois) leaders in the years 1792-1794, President George Washington gifted it to Gy-ant-waka, or Cornplanter, a respected Seneca leader, skilled diplomat, and eloquent speaker. On one side of the blade Cornplanter's name is engraved, and on the other side is the name John Andrus, possibly the maker. Pipe tomahawks emerged in the early 1700s and were commonly presented to Native American leaders by 18th-century colonial officials. They were considered prized objects because they could be used to smoke tobacco, a plant of cultural and spiritual significance to Indigenous people. This pipe tomahawk was purchased around 1840 by Tonawanda Seneca Ely Parker from the widow of a Seneca named O-ya-weh-te, or Small Berry. Since the original handle, or haft, was missing, Parker replaced it to reflect what it once may have looked like, based on descriptions from Small Berry's widow. He also added a brass plate engraved with his name on bore end of the tomahawk's haft, just above the blade. As with any object like this, it's kind of cool to examine and think about how it was probably once held by figures such as George Washington and a great Seneca leader. But maybe more importantly the object is a way to drop into the story of the past and get a better sense of it. So let's follow a few the threads that connect here. 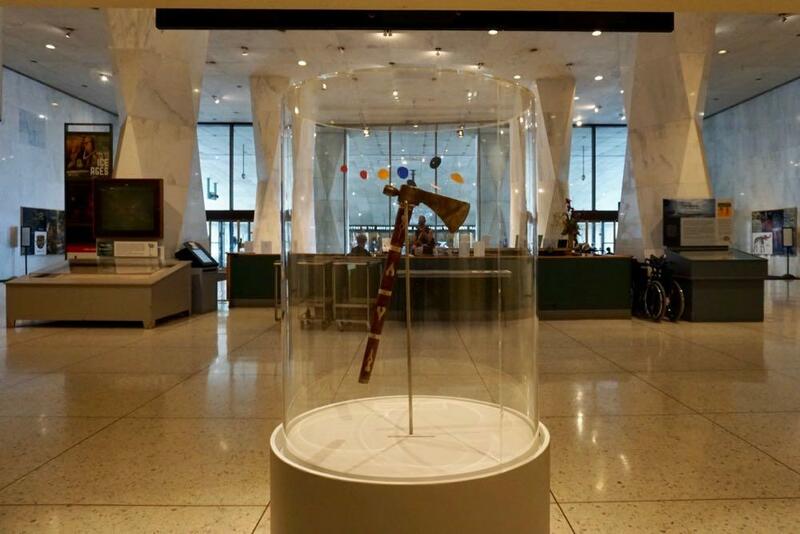 The meetings alluded to above by the State Museum at which George Washington gave the pipe tomahawk to Cornplanter during the early 1790s were part of a path to the Treaty of Canandaigua, between the United States and the Six Nations of the Iroquois Confederacy. 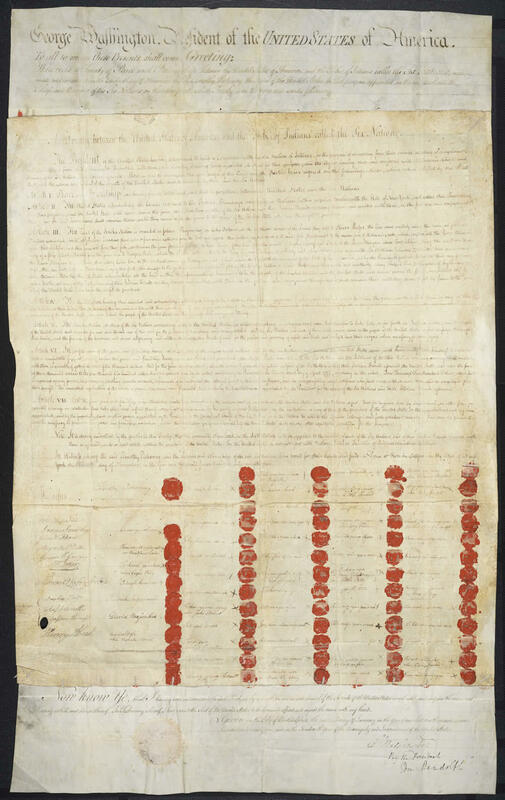 That pact -- one of the first treaties signed by the fledgling United States -- is a peace treaty between the nations and acknowledges the sovereignty of the Iroquois nations and their claims to nation land. The prompt for the treaty had been the US government's concern about New York State trying to negotiate its own treaties (frowned upon, because there's a federal government now) with Iroquois nations as the state eyed the nation land, and the cheating being perpetrated by "jobbers, speculators and monopolizers" that was upsetting the nations and threatening the relationship with the newly formed US. The US was already fighting with Native Americans in the Ohio Valley, and George Washington was worried about the fraying relationship with the Iroquois. The treaty lays out the land claims of the various Native American nations, ceded other lands to the United States, and in return the Six Nations were to receive a quantity of goods in the amount of ten thousand dollars. It also called for $4,500 from the US, "which shall be expended yearly forever," on various goods to help support the nations. But the federal government has consistently followed through on the the annual expenditure. Every year it delivers a portion of cloth to the nations. There's an annual celebration of the treaty on November 11 in Canadaigua. One of the signatories of the treaty was Cornplanter, the recipient of the pipe tomahawk. He was a war chief for the Six Nations and fought alongside the British during the Revolutionary War. Later he was a key diplomat for the nations as they established a relationship with the United States. And a large portion of the Seneca land that was flooded in the 1960s (see above mention) was the Cornplanter tract. He also has an Albany connection. Cornplanter's mother was Seneca, but his father was a fur trader from Albany named Johannes "John" Abeel II. (Cornplanter was also known as John Abeel III.) And his great grandfather -- Johannes Abeel (also sometimes John) -- was the 2nd and (later 13th) mayor of Albany. And his great grandmother, Catalina, was a Schuyler. The man who replaced the handle of the pipe tomahawk -- Ely Parker -- also had a fascinating life. He came from a Seneca family in New York, and would represent the nation in Washington, DC in its complaints about loss of land in western New York. 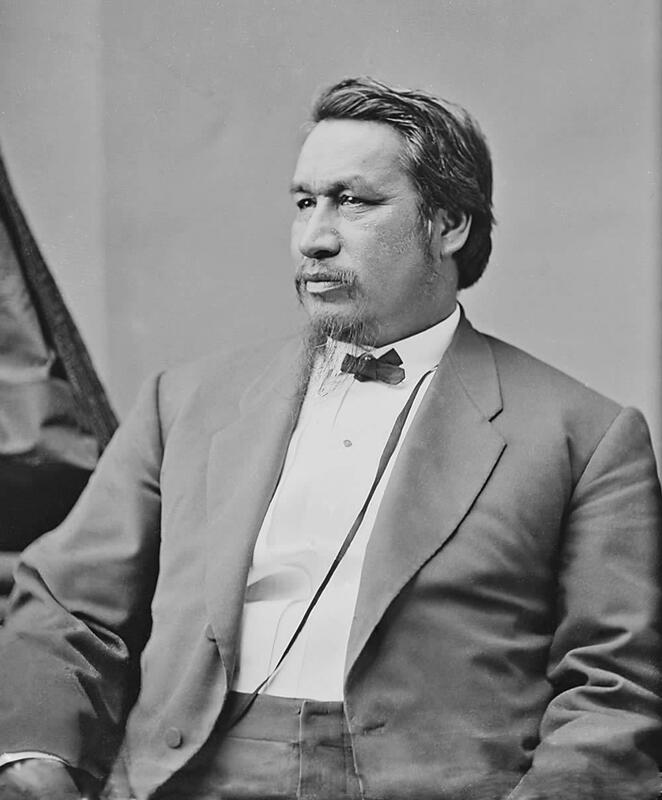 He studied to become a lawyer but wasn't admitted to the bar because he was Native American. Parker then studied at RPI and became an engineer. And it was through engineering work that he happened to meet Ulysses Grant. They became friends, and Grant would later make Parker a member of his staff during the Civil War. In fact, it was Parker that made out Grant's letter about the terms of surrender for the Confederacy at Appomattox Courthouse. And Parker was there during the surrender. After the war, when Grant became president, he appointed Parker the Commissioner of Indian Affairs for the federal government. As a retired State Museum historian, I am also incredibly interested in the fact that this artifact was STOLEN from the museum, sometime between 1947-50. I assume from those dates that the artifact was last exhibited, or used in research, or in some other manner physically handled and seen by a curator at some point in 1947, with a record of the physical existence of the object in the collection at that point in time. Then presumably in 1950 when a curator checked on the artifact in storage, it was missing. How widely known was this theft? Granted it's a very cold case now, but I would be very interested from the perspective of the State Museum's institutional history to know what measures where taken to try to track down the stolen artifact (was there a police report on this? ), and what reforms were made to the obviously deficient mid 20th century security protocols to protect valuable cultural, historical, and scientific artifacts that are collected and cared for by a public museum for the public's benefit. Much has changed in the intervening decades, but recall that one of the most heinous thefts of valuable Civil War documents (sold on eBay) from the New York State Library was perpetrated by a state archivist between 2002 and 2008 when he was finally caught and sent to prison. The theft itself of this important Native American artifact is an important part of its story. 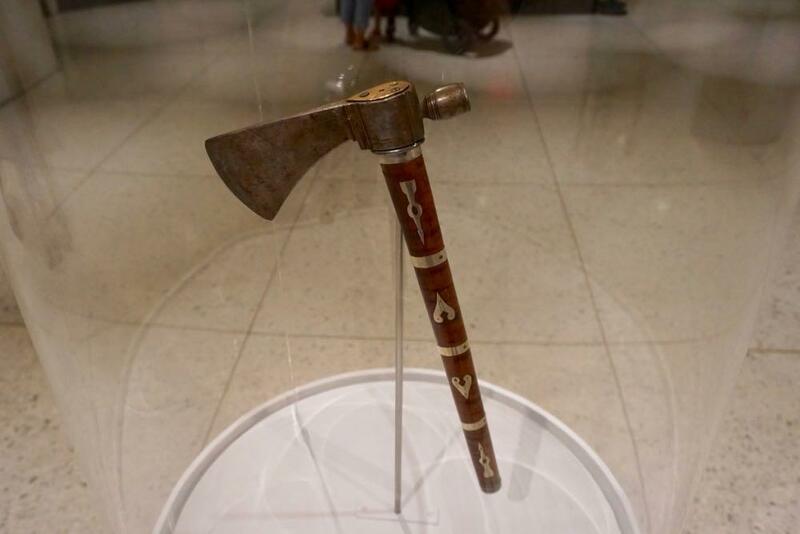 It's really a miracle that almost 70 years later that the Cornplanter pipe tomahawk ended up back at the State Museum, instead of remaining in someone's secret, private collection acquired illicitly, or even worse, not cared for professionally and therefore damaged, destroyed, or lost forever. Dont foget Johnny Cash's song about Cornplanter. @ chrisck: Institutions were a lot different in those days. Informal "borrowings" were not at all unusual- someone with a claim to scholarship might well say "Could I take that a while for study?" and away it went with no record because it was a gentleman's agreement- and if the lender forgot the borrower just might fail to remind him. There have been people in museums & archives who took unto themselves godlike attributes, among these the belief that anything good really belonged with Them as only They could properly appreciate them. Update: Paul Grondahl has a fascinating article in today's TU that reveals more details about the theft of the Cornplanter pipe tomahawk in 1947. Suspicious behavior on the part of the then collections manager, the recording of the theft in 1950 by a new collections manager, and the artifact changing hands in illicit transactions at least 7 times since it was originally stolen. The last "owners" finally did the right thing and had an intermediary approach the New York State Museum to return the stolen object anonymously.